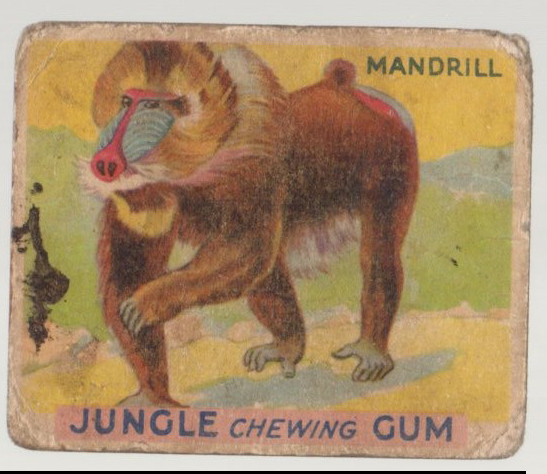 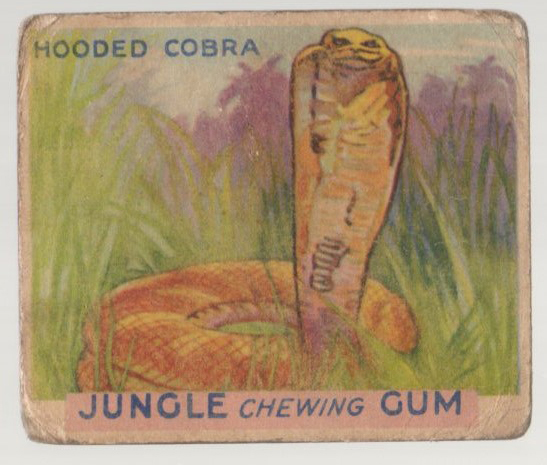 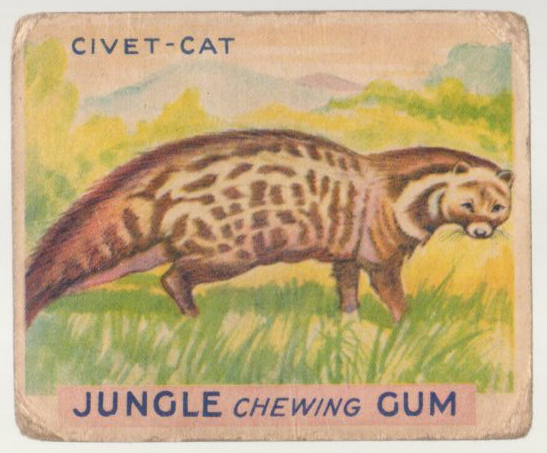 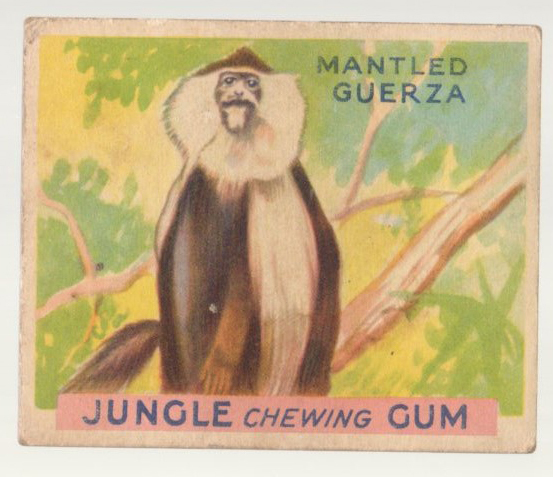 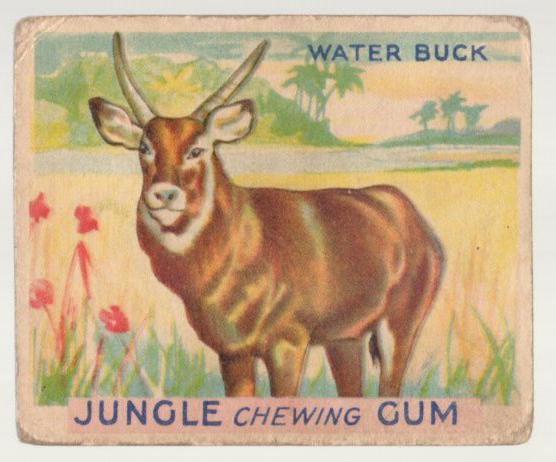 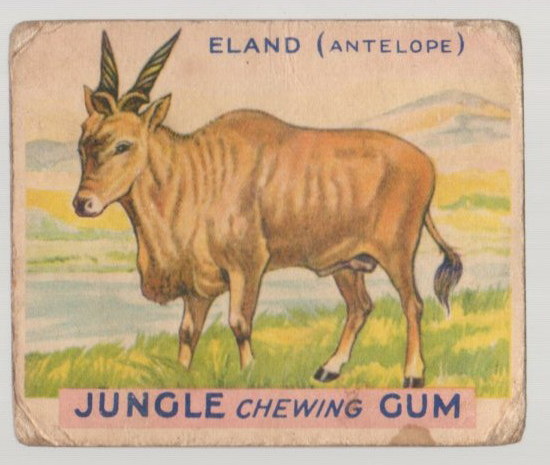 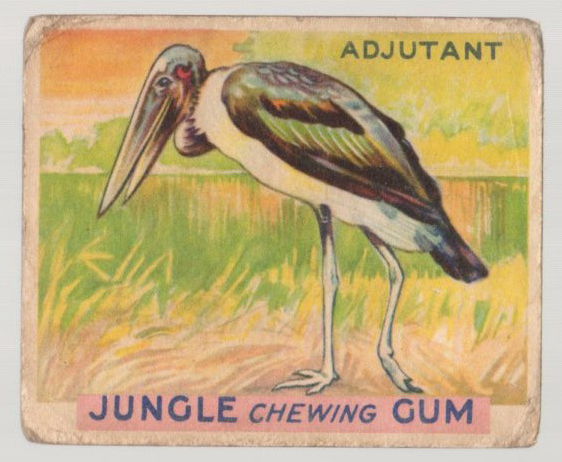 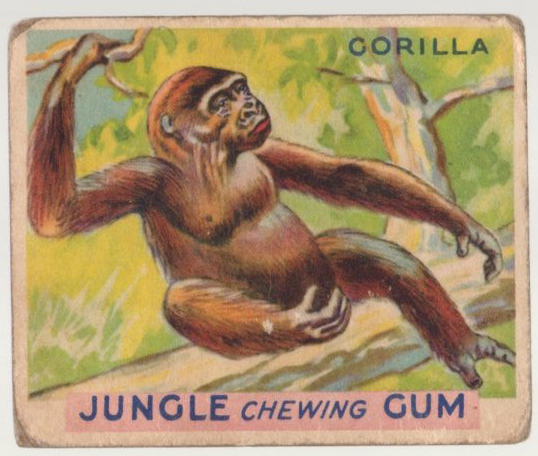 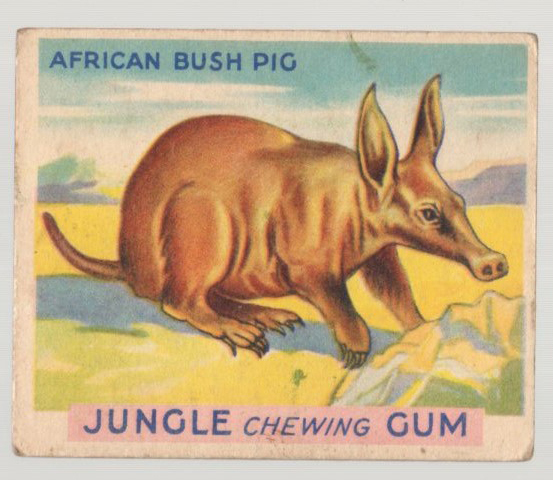 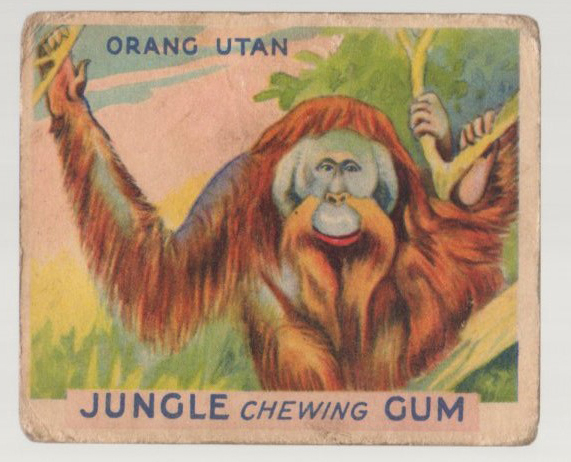 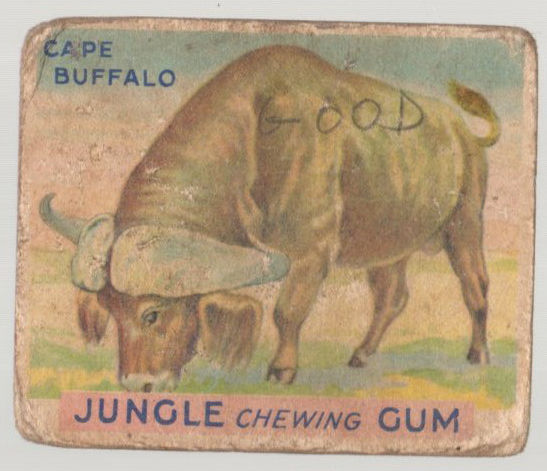 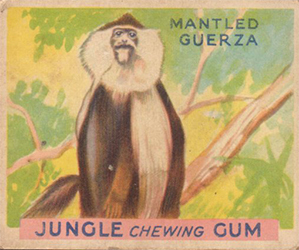 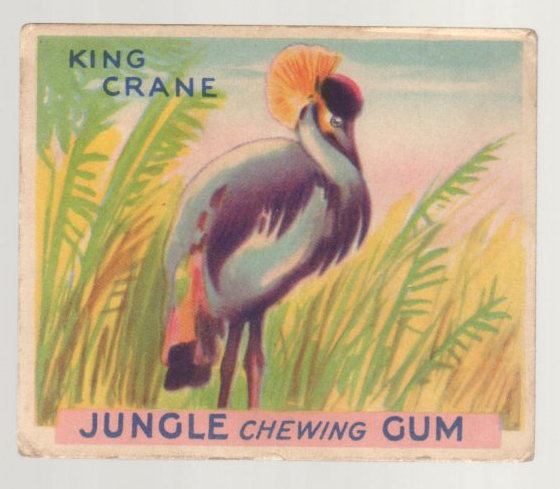 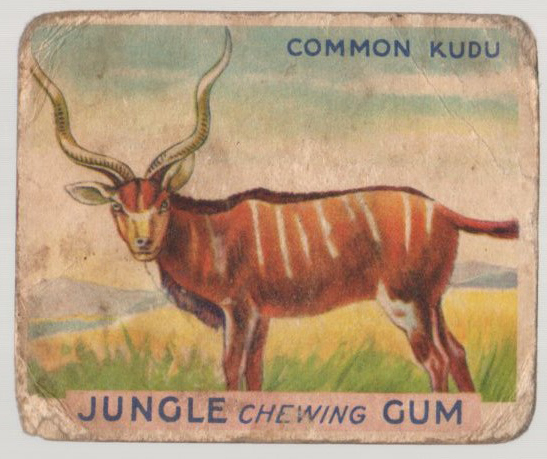 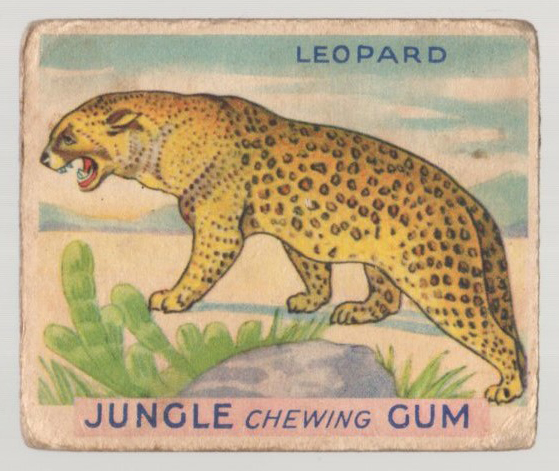 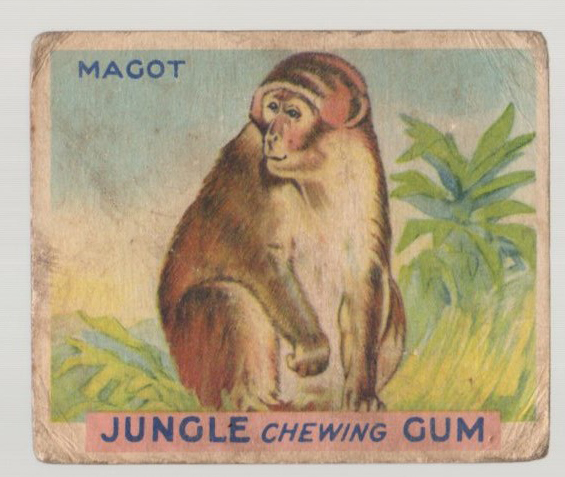 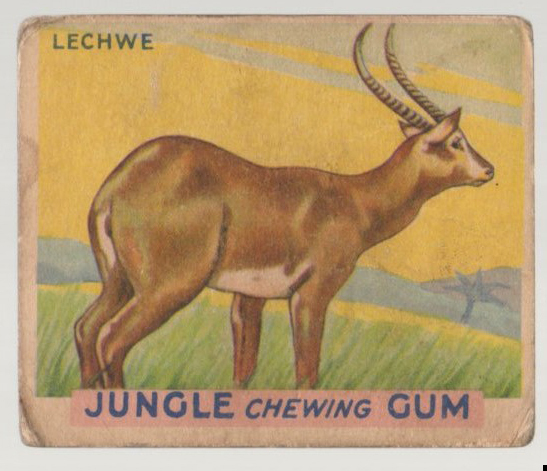 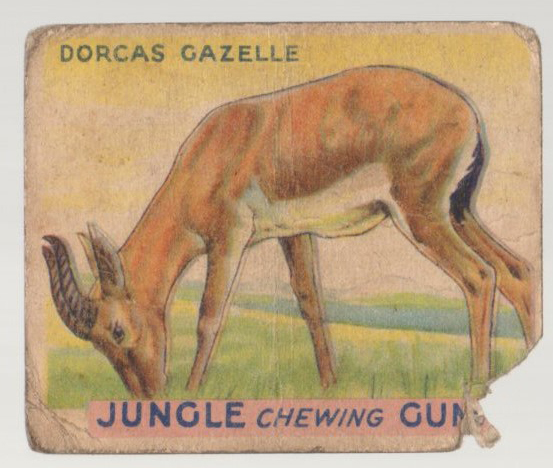 The 1933 World Wide Gum Inc. 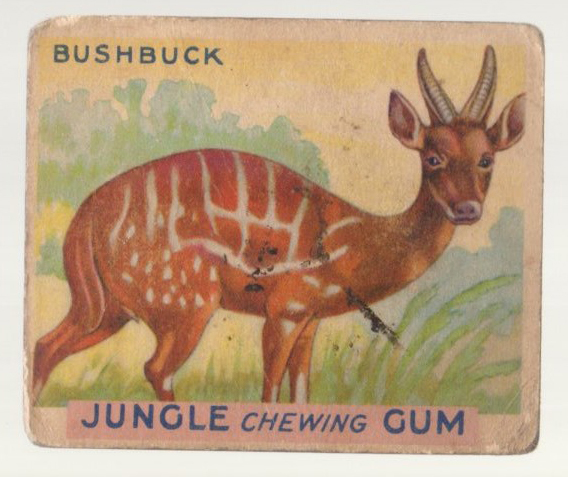 Jungle Gum set (R78) set contains 48 cards and features jungle animals! 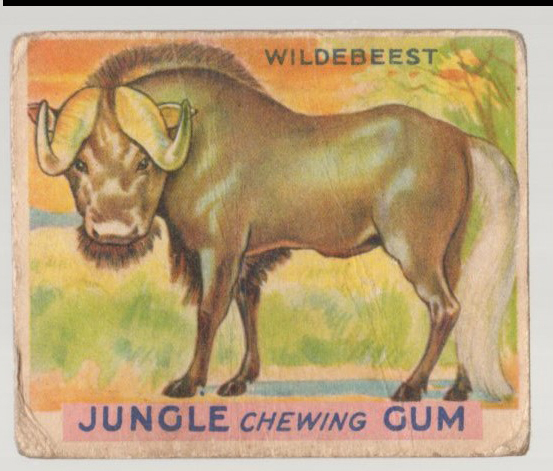 The cards have images that were taken from the 1910 T29 Hassan Animal series set. 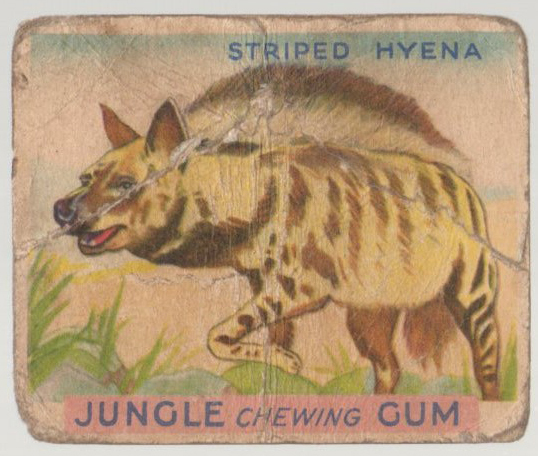 The fronts feature color drawings of various animals and the backs have descriptions. 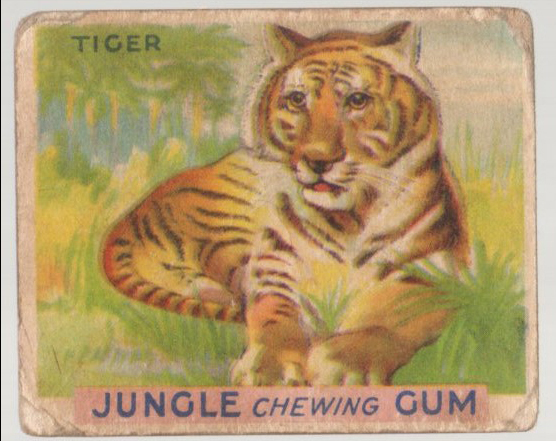 These cards measure 2-3/8" by 2-7/8" in size. 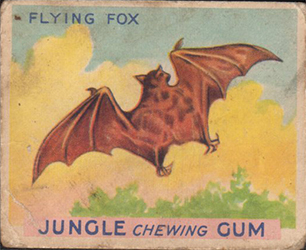 The first series is numbered from 1-24 and the second series is skip numbered.